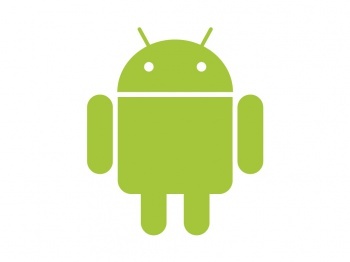 Android developers are now required to use Google Play's billing system for app and in-app purchases. There's a bit of a trade-off when it comes to an open-source platform. On the one hand, there's lots of creative freedom to experiment with software and directly implement features you'd like to see. On the other hand, it's much, much harder to bring various problems under control, including obvious issues like piracy or something less expected like implementing a unified billing system. Unlike the Apple Store, Android developers were under no obligation to make their customers pay for apps through the Google Play store's billing system, and could instead use an alternative billing system that took a slightly lower cut of each purchase. That period is now coming to an end, as Google announced to developers via email that all app and in-app purchases must be purchased from the Google Play store. "Developers charging for applications and downloads from Google Play must do so by using Google Play's payment system," reads the updated Google Play Developer Program Policies. "Developers offering additional content, services or functionality within an application downloaded from Google Play must use Google Play's payment system as the method of payment." The only payments the policy does not cover are for apps selling physical goods or services, like movie tickets. According to a Reuters article from earlier this year, the issue is one that has only grown over time. As a platform, Android has exploded in popularity, but the actual revenue it sees from the Google Play store didn't grow in proportion to the new customers. It was inevitable that Google would need to make a decision on the matter eventually, if not for the money, then to ensure that users were getting a consistent experience. "We actually have been enforcing our payments around payments historically, but there's been certain exceptions," said Google Play engineering director Chris Yerga. "Before we had subscriptions, if someone was dependent on an application that required subscriptions, we were a little more lenient. Here we want to make things explicit about what's included and what's not included. The baseline default is we require applications to use the Google payment system." The new policies have already come into effect, but developers have 30 days to bring their apps into compliance with the new policies. Newly submitted apps are subject to the new policies immediately.